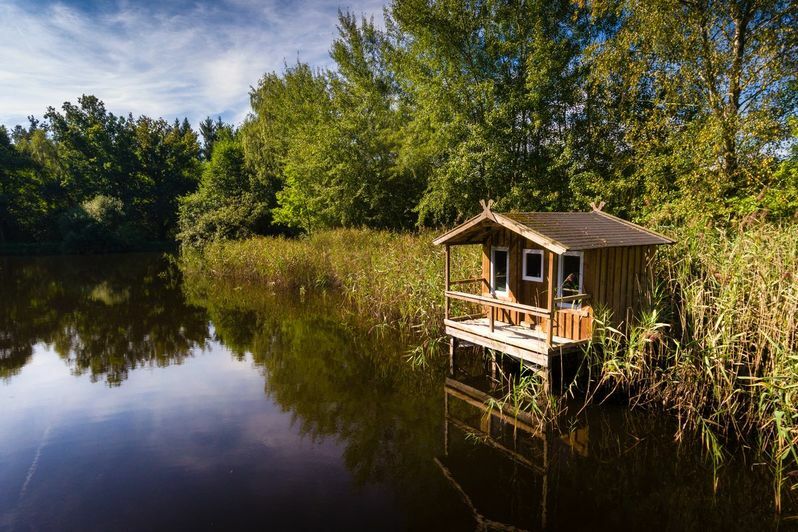 RadwegeHermannsburg Nature Park Südheide: Where kingfishers and otters say "Goodnight" (day tours) | Bergen Urlaub . The action icon is `%icon`.' message:'Legen Sie den Bergen-Urlaub auf den Homescreen. 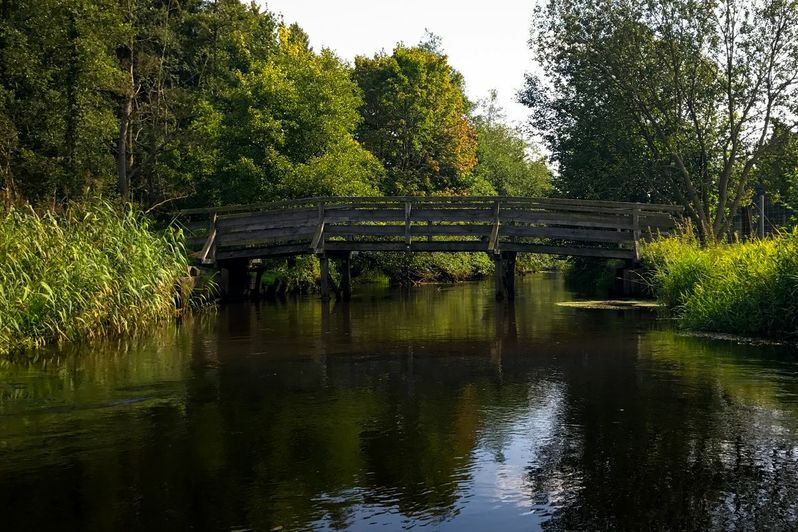 The W 15 hiking tours "Where kingfishers and otters say "Goodnight" run on both sides of the natural heath river Oertze north of Eversen and can be extended to include the Scharnebeck mill in the north. 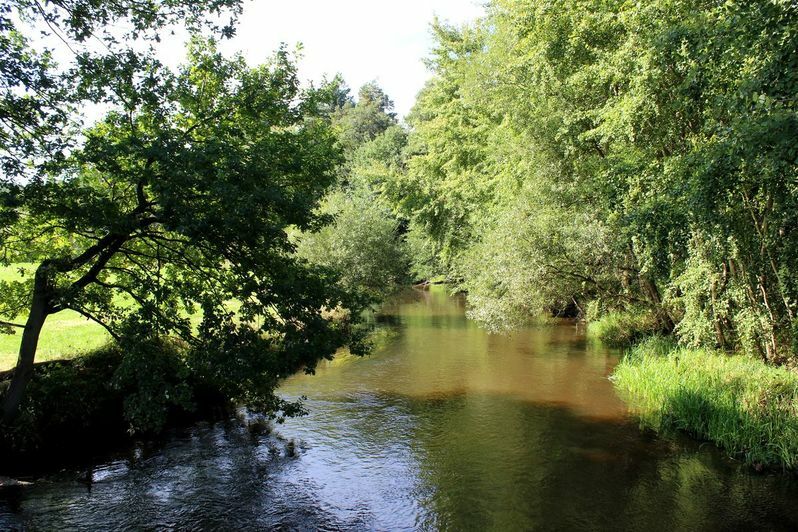 The Oertze is a still very natural heath river with a high biodiversity. The ecological quality of this water body becomes apparent in the presence of rare species such as the kingfisher and the otter. To watch the shy and mostly nocturnal otter, however, needs a lot of luck. The water is wintergreen, as green aquatic plants can be seen all year round. 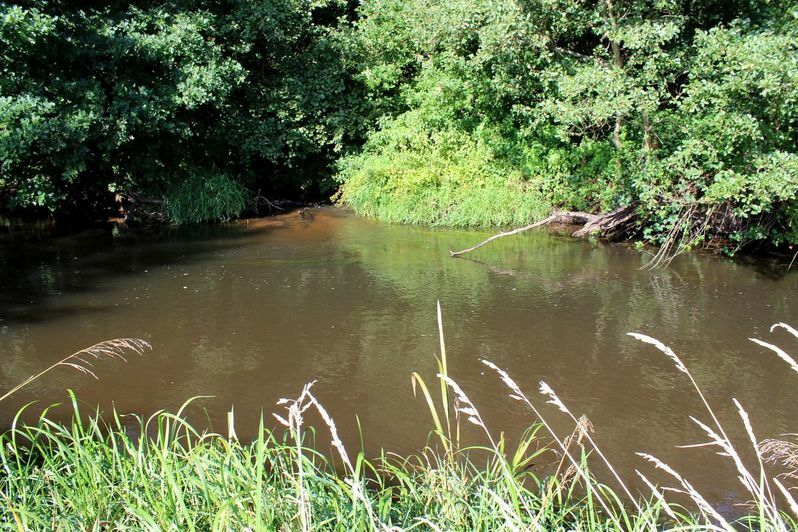 The Oertze flows in a broad valley that was dug carved into the sandy-gravelly glacier deposits by meltwater towards the end of the Saale Ice Age. 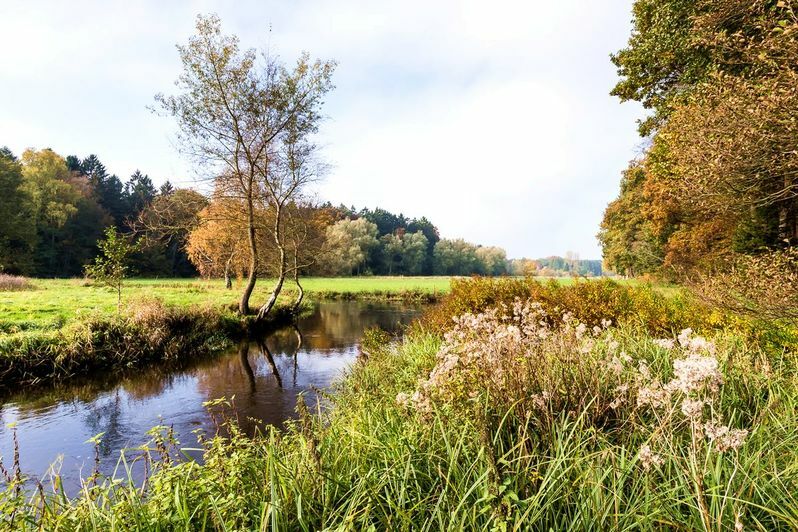 The headwaters of the Oertze consist of several swamp marshes on the grounds of the military training area Munster-Nord. The water flows in a southerly direction and flows east of Winsen into the River Aller. The Oertze is a so-called summer-cold heath river as its water is always consistently tempered. The water is cool in summer, but rarely freezes in winter. This phenomenon is caused by the strong influx of groundwater. 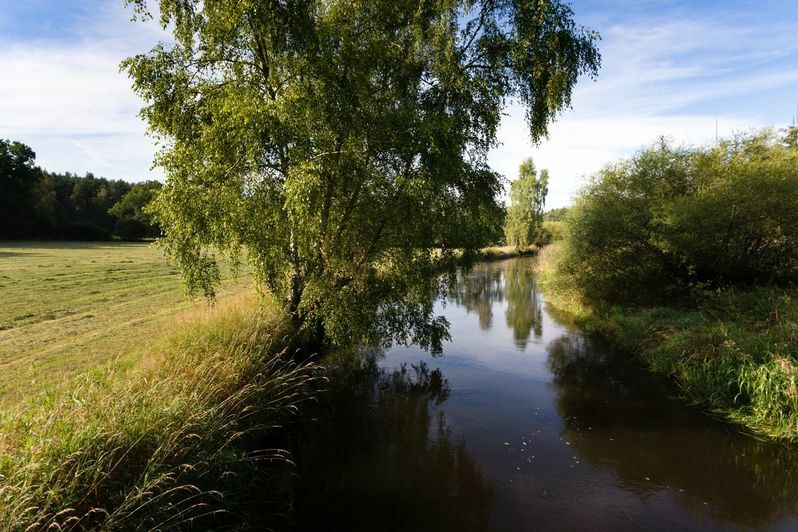 The largely natural riverbed of the Oertze is characterised by numerous river loops. Steep banks, depressions and an alternating gravel and sand banks are characteristic of its structural richness. The water of the Oertze is of good quality. The adjoining valley still has many wet meadows and forests. These conditions are a prerequisite for a species-rich flora and fauna. 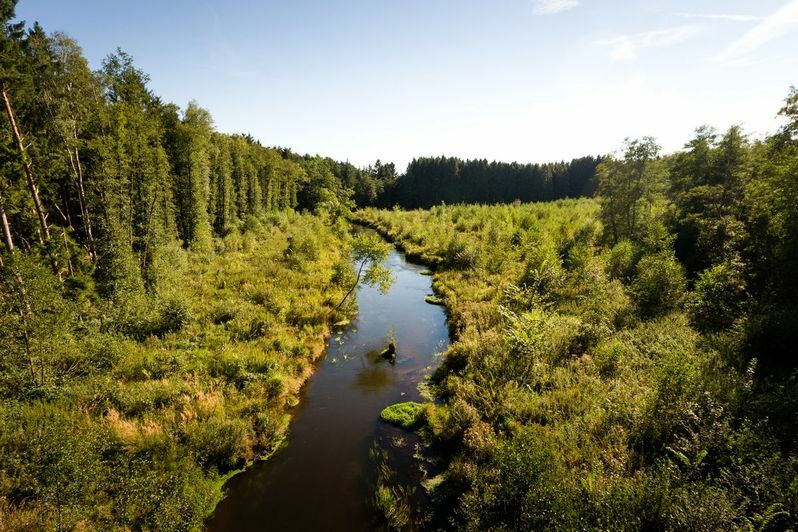 The Oertze river system is today part of the European protected area system Natura 2000 due to its high ecological significance. Rafting on the Oertze began in the 17th century. 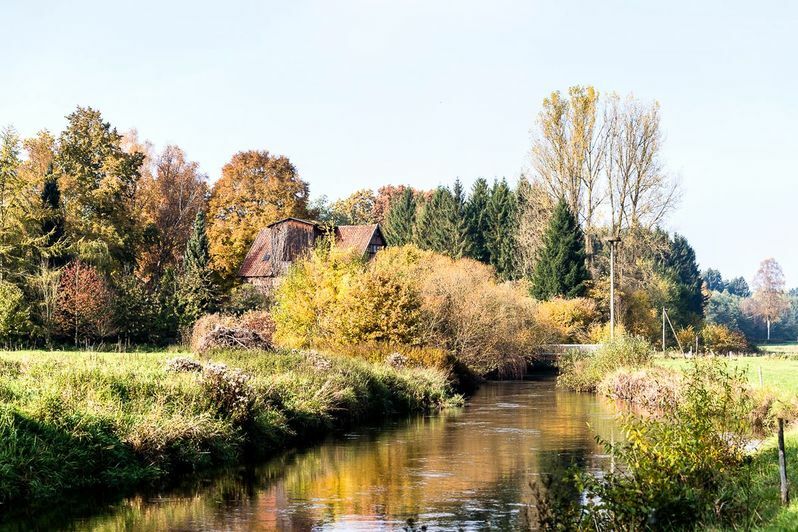 The Oertze was navigable by raft from the estuary of the Wietze near Mueden to the Aller all year round. Raftsmen were able to cover this distance in one day. The rafts themselves consisted of the trunks intended for transport tied together with fresh willow or birch twigs. 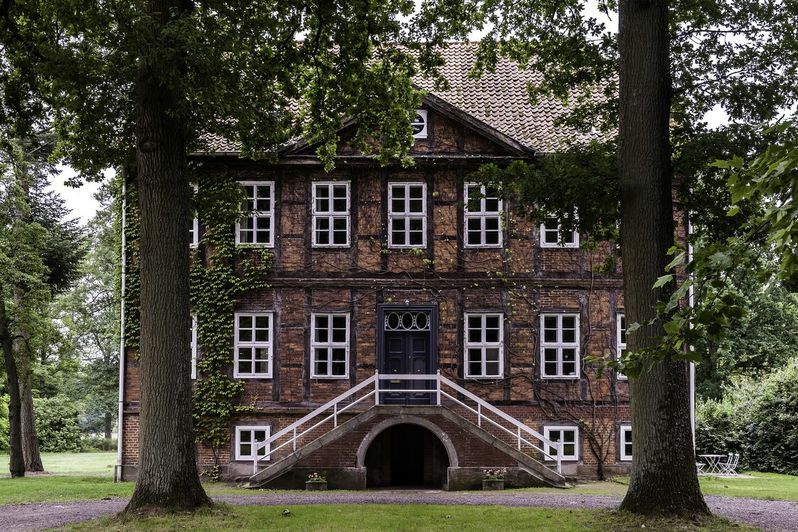 In the second half of the 19th century, there were eleven log-binding sites on the route from Mueden to Oldendorf. There was also one in Eversen. The "Binnestä" on the Kolk is part of the village history trail, which clearly illustrates the history of Eversen. The rafts were about 23 meters long and 3 meters wide. On the Aller, the logs were tied together into even larger rafts and rafted to the transport hub in Bremen, from where they were also shipped abroad. 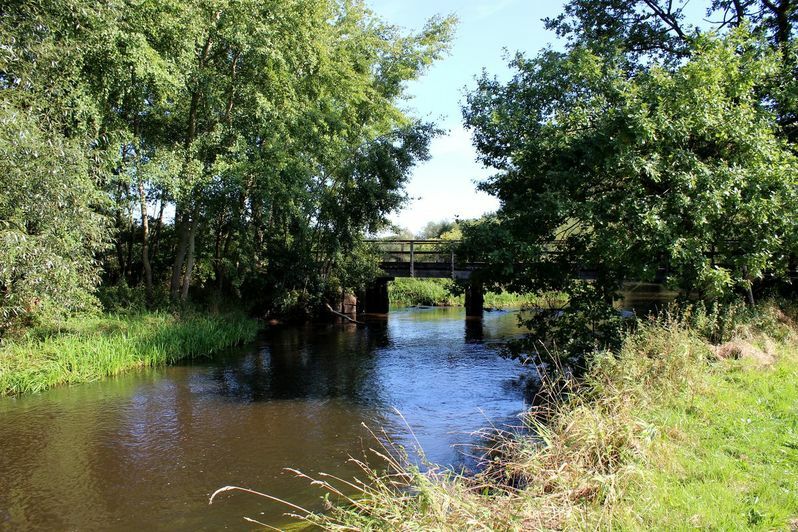 Wood was also needed for building and shipbuilding on the Lower Weser river. Rafting on the Oertze came to an end at the end of the 19th century. The lower course sanded up, making it difficult to navigate the river’s waters. New sawmills established in wooded areas made the transport of tree trunks unnecessary. In addition, more modern means of transport such as the railway competed with rafting. 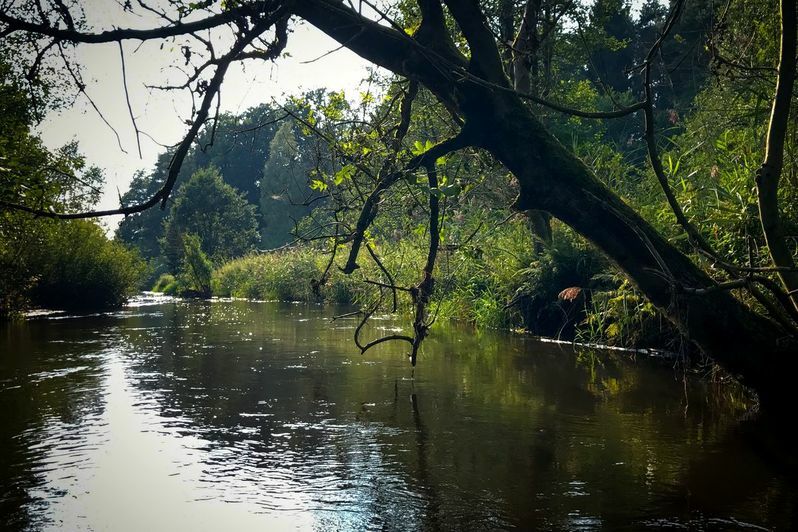 Today, water-hiking by canoe on the Oertze is very popular. 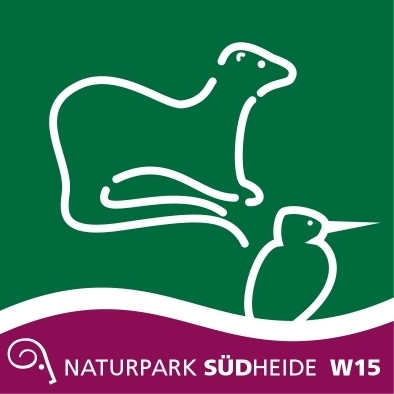 The three tours of the W 15 hiking region are indicated by the pictogram shown here. Where the tours branch, a small green circle indicates the short tour, a medium yellow circle the medium tour and a large purple circle the long tour. 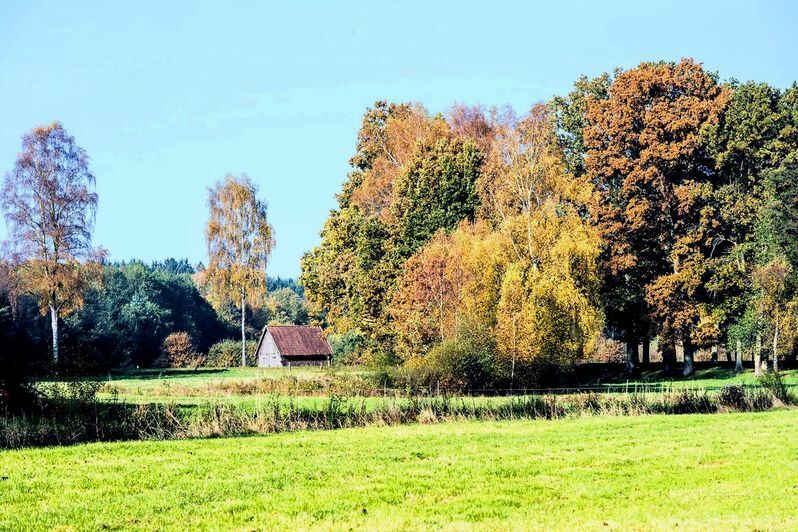 The route runs through small villages and along narrow paths next to fields and meadows and alongside the heath river Oertze, which it crosses at various points. 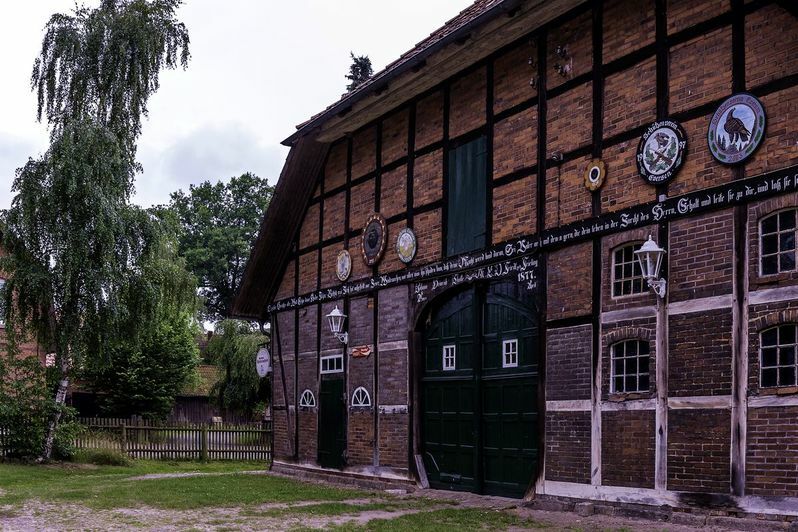 Directions to the car park "Gasthaus Otte"
Further information and tips for the tours of the hiking paradise Suedheide are available from the Region Celle Navigator.